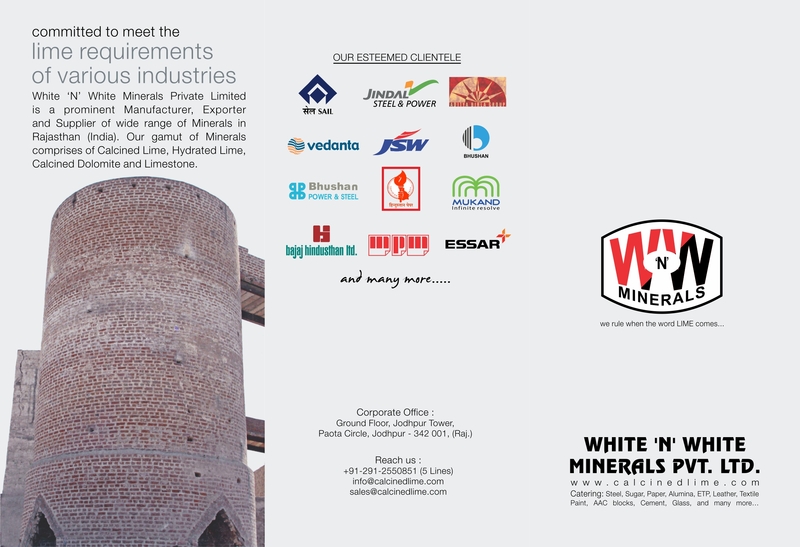 we are MANUFACTURERS OF QUICK LIME aka CALCINED LIME which is used in the steel plant for production of basic sinter, as a desulphurizing agent, as a slag forming material to remove impurities in basic oxygen furnace (BOF) and in electric arc furnace (EAF), in secondary steel making, neutralizing of waste acid liquors, and in the treatment of water. 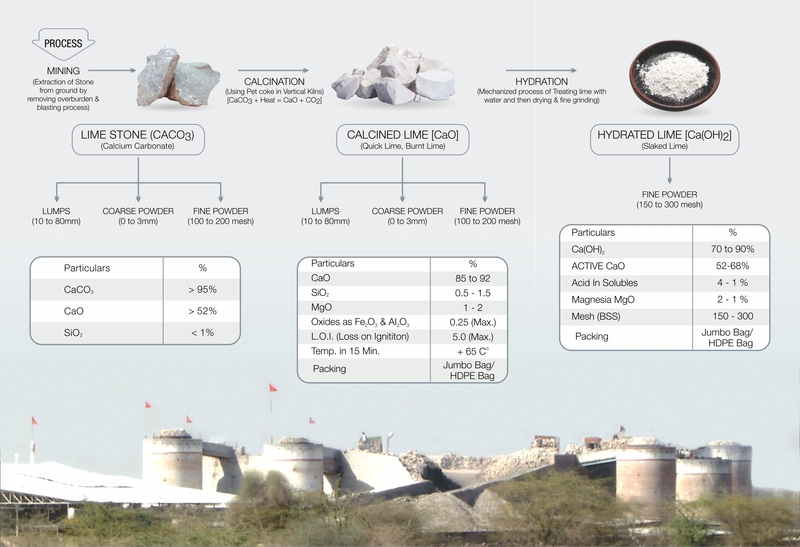 A growing use of lime is in the treatment of stack (flue) gases. Lime absorbs and neutralizes sulphur oxides of these gases.